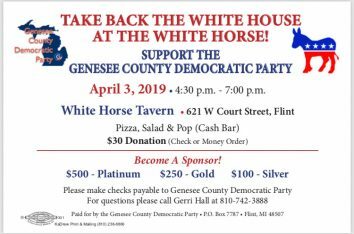 I first became active in the Genesee County Democratic Party back in 1970. Democratic politics was in turmoil then. The Party had imploded with the decision of Lyndon Johnson to not seek re-election and the subsequent defeat of Hubert Humphrey by President Richard Nixon. Michigan’s Republican Governor was elevated to the position of Secretary of Housing and Urban Development with Nixon’s election. His Lt. Governor, William Milliken, was then elevated to the Governorship and won the seat outright in 1970. The Vietnam War had redefined politics nationally and in Michigan as well. 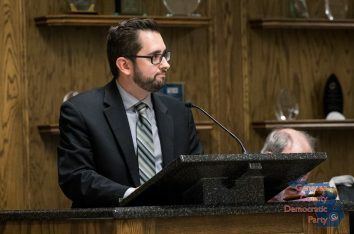 The old norms no longer applied, and Michigan Democrats had to come to grips with politics redefined by the baby boom generation. However, they did come to grips with it, and in 1970 Michigan Democrats began the long, slow march back to majority status. When I was elected to the Michigan House in 1982, Democrats also recaptured the governorship with Jim Blanchard’s victory. With those 1982 victories, Michigan Democrats owned every executive position, both houses of the legislature, all the education boards, and the judicial branch as well. The victories of the past build the traditions of today, and set the challenges of the future. 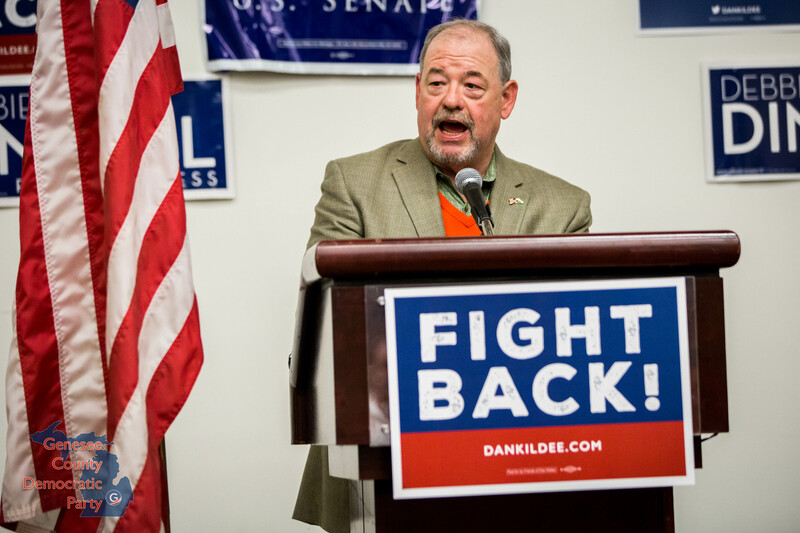 Genesee County Democrats have a strong progressive tradition built on a foundation of middle class prosperity due to the UAW’s commitment to social justice and workplace democracy. In spite of that proud tradition, we now face the challenge created by a rapidly changing global economy. The challenges we face today aren’t unlike the challenges of the 1970’s. We now must build an agenda for prosperity in this new economy that embraces every family—not just those who have emerged on top of the economic heap. 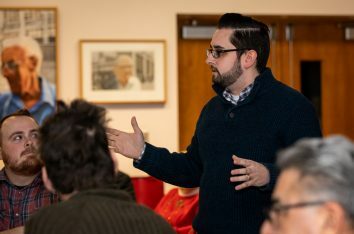 That’s why Genesee County Democrats began this year by pushing a movement to create Medicare for all. That’s why we are partnering with our legislative delegation to promote access to higher education and safe neighborhoods. That’s why we join with community organizations to demand safe water for the City of Flint and its residents. We understand that you can’t begin the journey to governance by simply saying “No”. We know the right to govern has to be earned by making the case to voters that Democrats will deliver on the promise of a better tomorrow. We welcome you to join us in this challenge to build the modern Democratic Party. We want Genesee County to be a prosperous community and a great place to live. We invite you to join us in constructing the agenda to accomplish that. However, we also want to be your gateway to participation in efforts to build the new Michigan Democratic Party and to be your partner in the effort to remake the National Democratic Party. Please use this page as your personal portal to this exciting challenge. I would like nothing better than have you writing fifty years from now about how your Democratic journey began here in Genesee County in 2017.